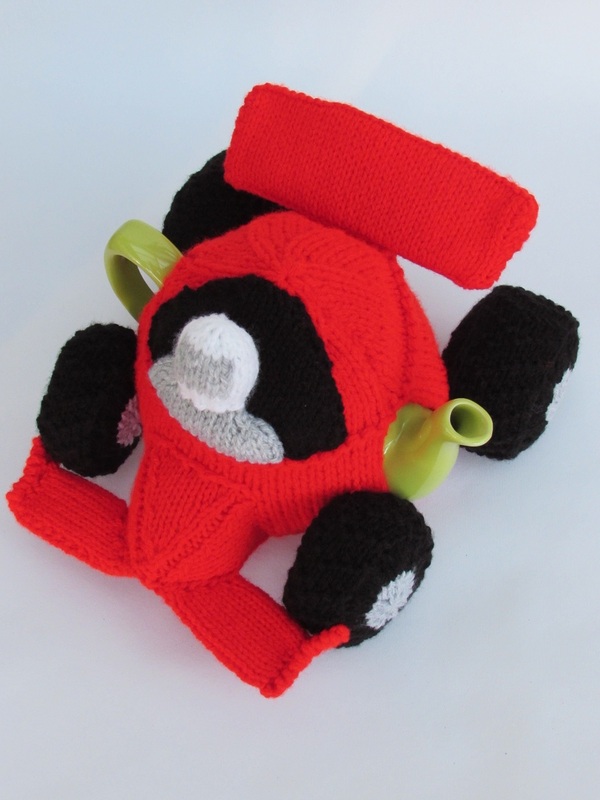 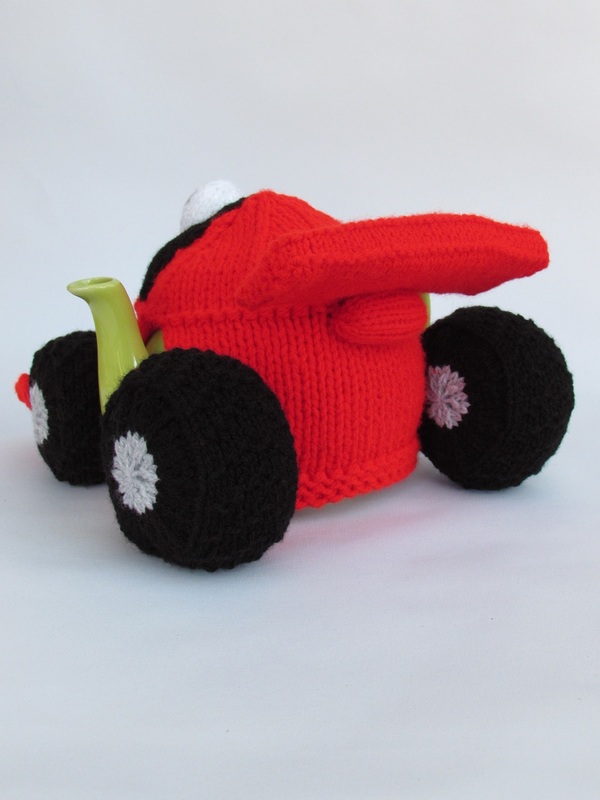 The Formula One Racing Car tea cosy was designed for the Simply Knitting Magazine issue 160 which went on sale on the 26th of May 2017. 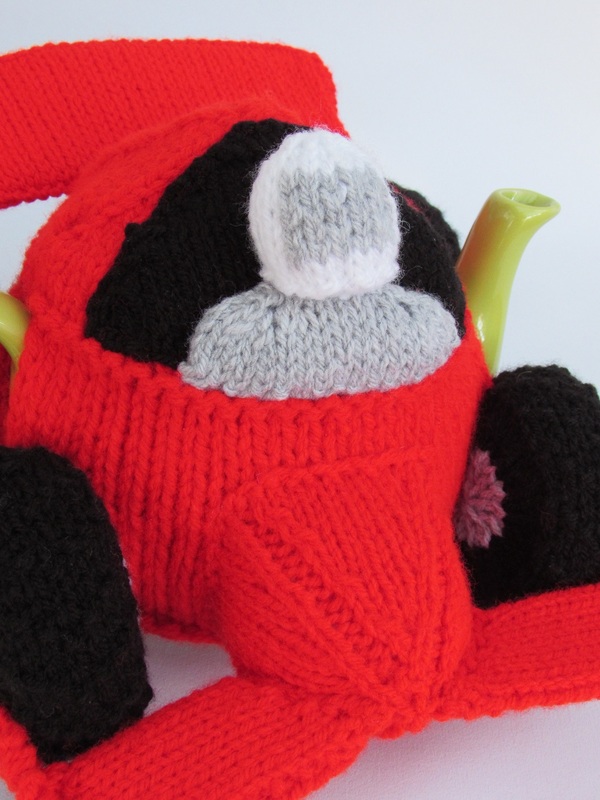 Step aside Nico Rosberg and Lewis Hamilton the Grand Prix is coming to a teatime near you in the shape of the Formula 1 racing auto tea cosy. 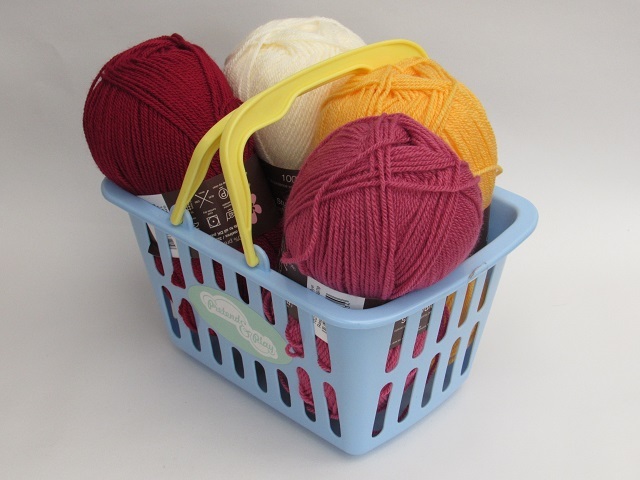 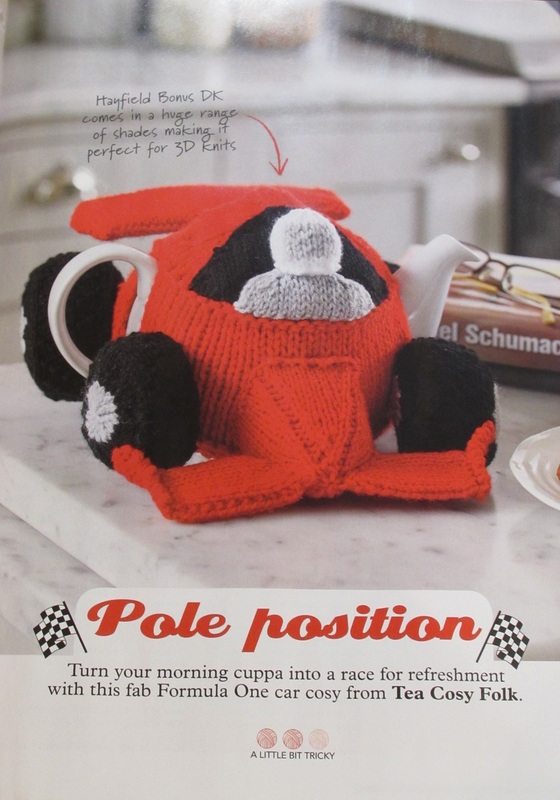 The signal red coloured racing car tea cosy sped into the Simply Knitting magazine just in time for readers to knit for Fathers Day. 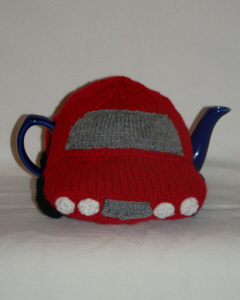 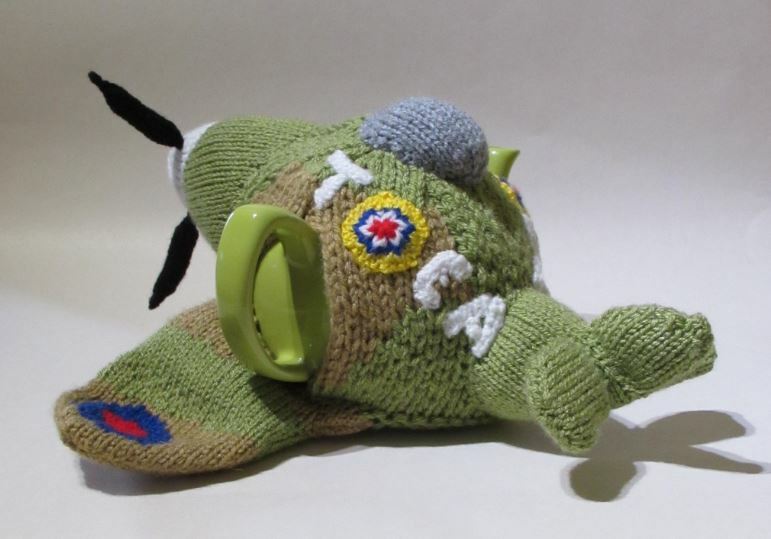 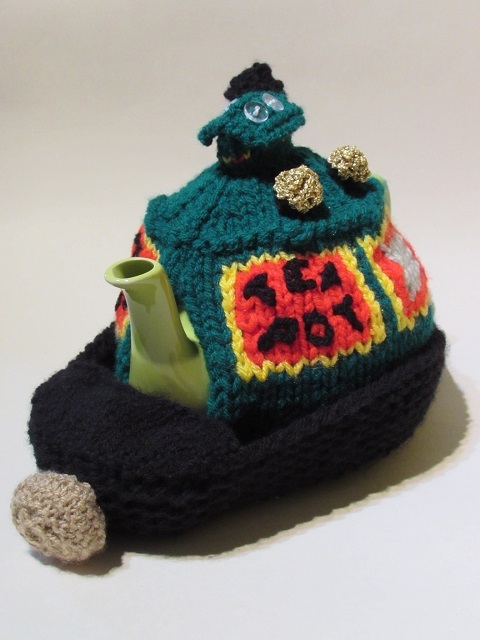 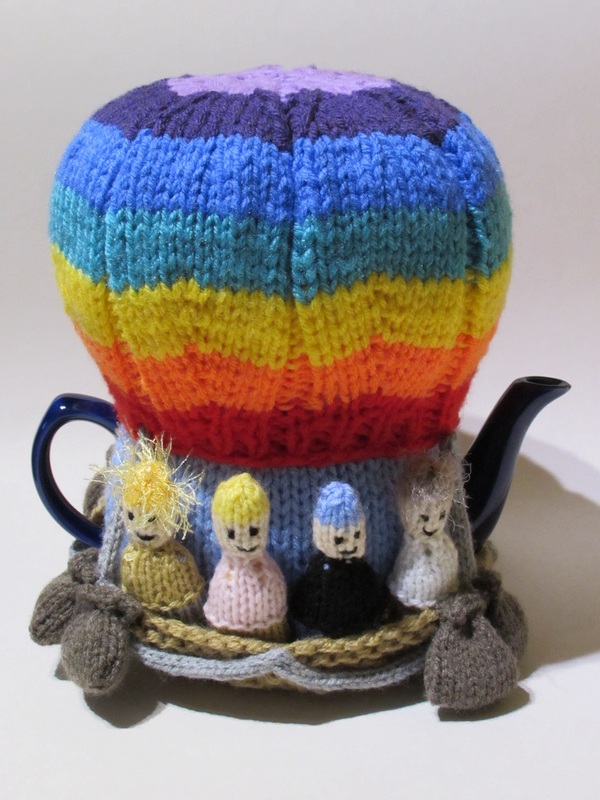 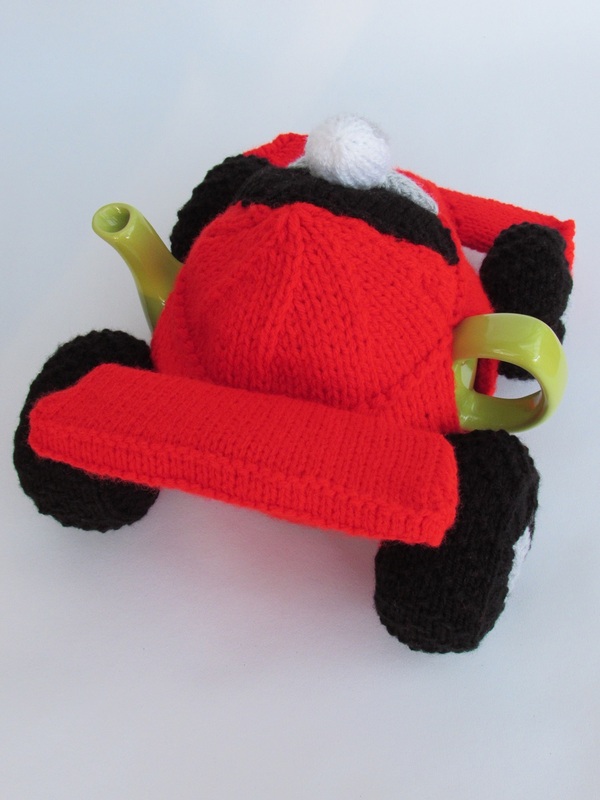 I was asked to design a racing car tea cosy and boy; what a challenge that was. 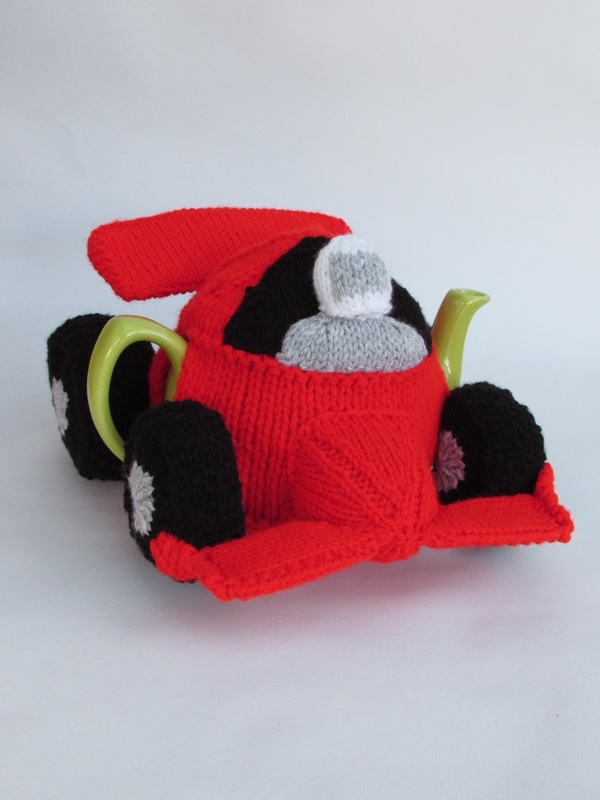 I wanted to make an iconic looking race car and in our house its Formula One; my hubby is a big fan. 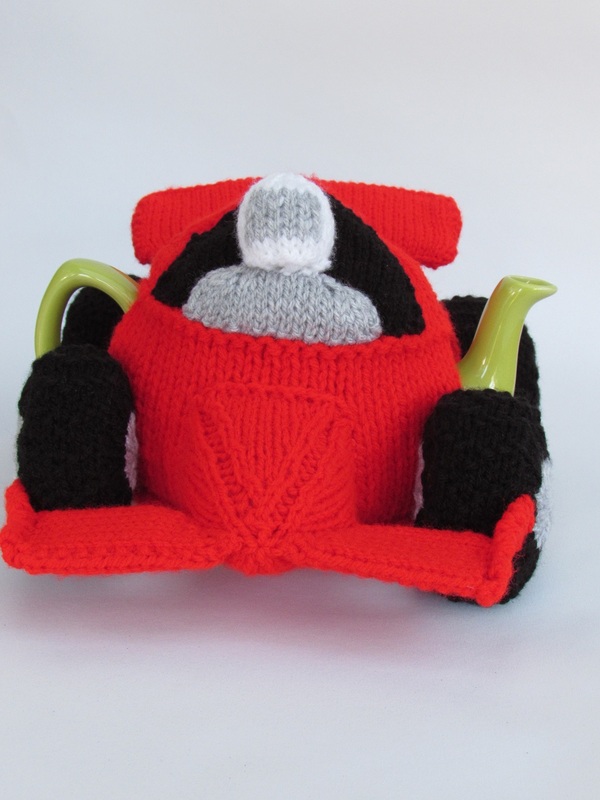 So that's where I took my inspiration and based my design. 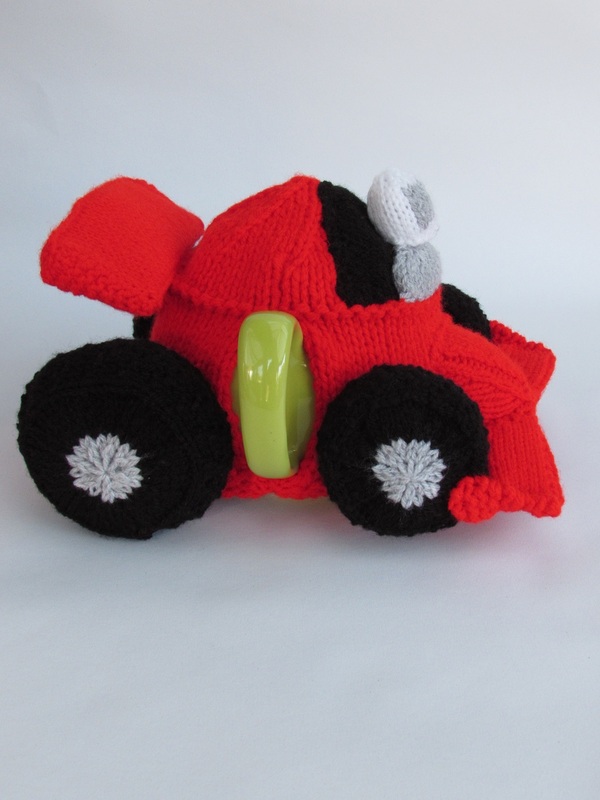 The front and back fins of the car are strengthened with a clean washed out, milk bottle. 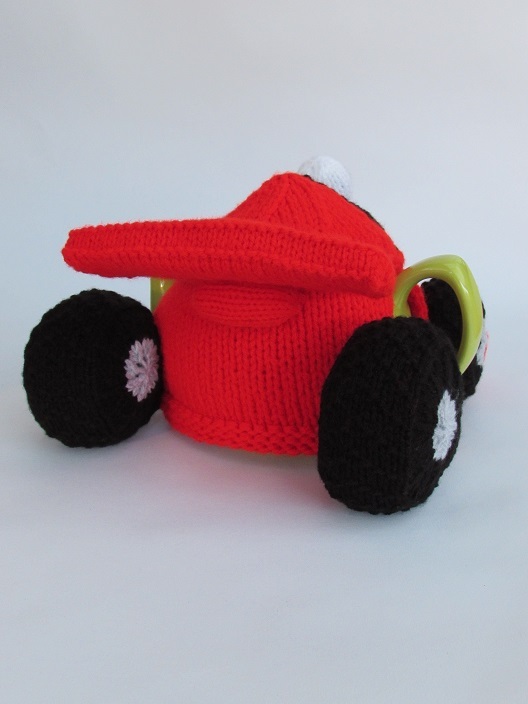 The wheels are chunky and fun and the racing driver adds a nice touch; much better than an empty car I thought. 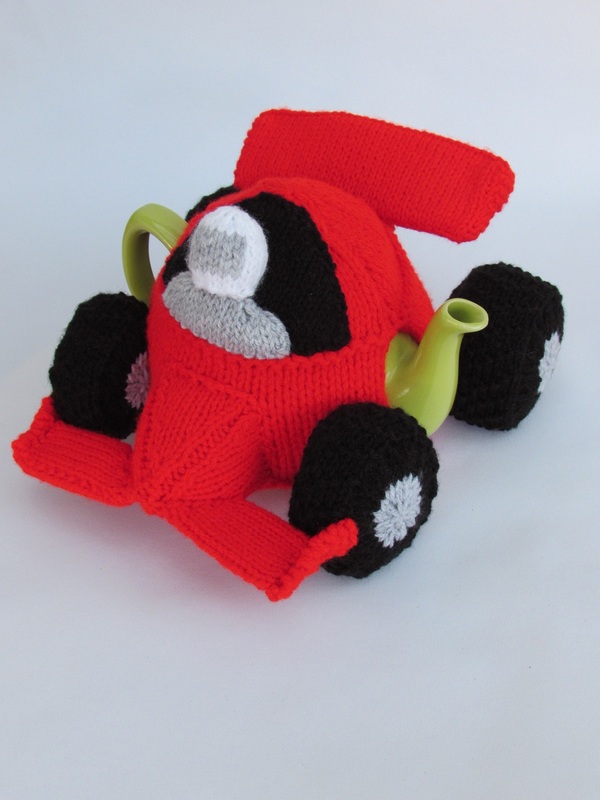 In my mind a speedy racing car is always bright red, but the car could be knitted in any colour to support any Formula One racing team. 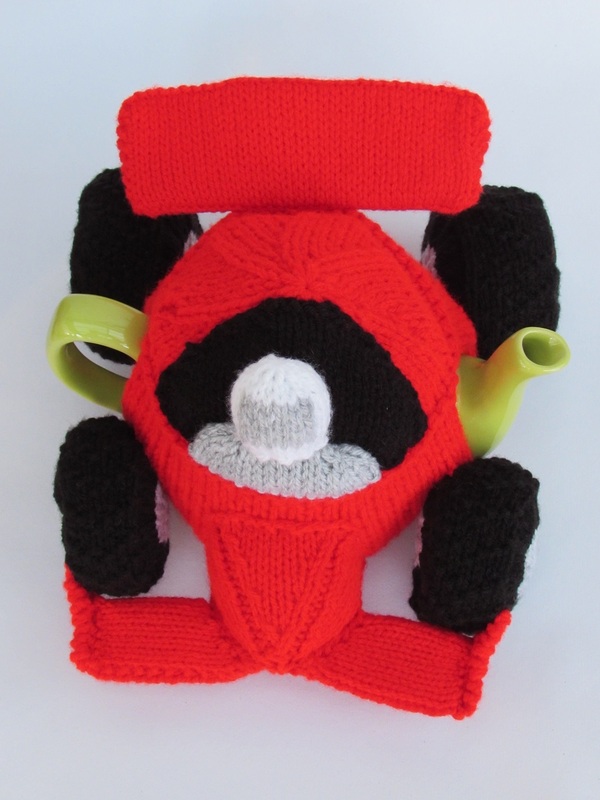 Likewise, the driver colours could change to team colour or even be made to look like someone you know, your hubby or Dad perhaps? 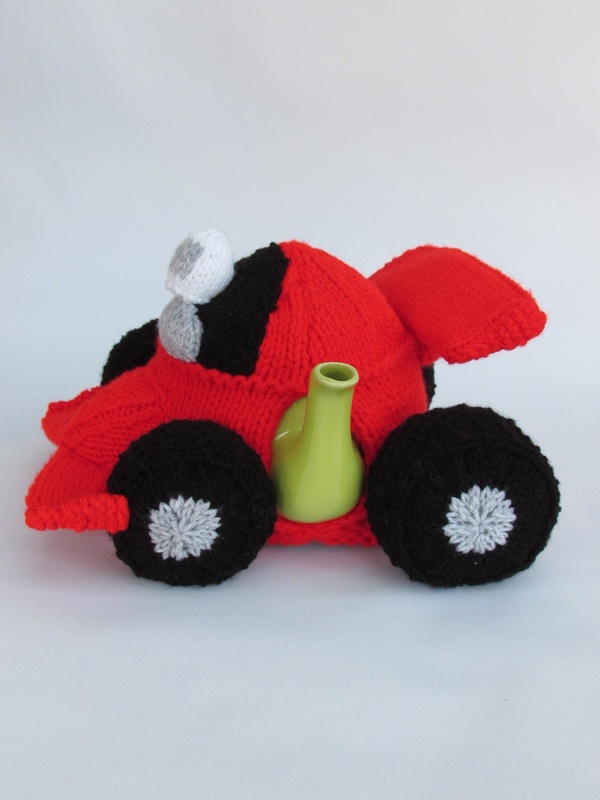 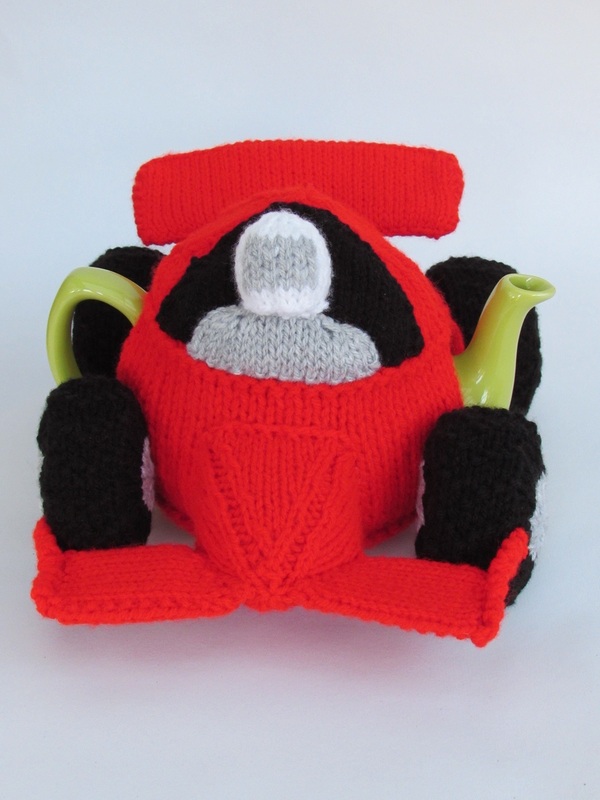 Feel like a Formula One champion every teatime with the Formula One Racing Car tea cosy. 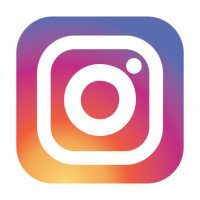 A clean washed out, milk bottle.